Martin-Blatherwick, according to a provincial government news release, motivates children to develop critical thinking and creative problem-solving skills. She is a director of Odyssey of the Mind BC, which is the flagship program of the Creative Problem Solving Society. Martin-Blatherwick also coaches two Odyssey of the Mind teams, one at Coquitlam's Maillard Middle and one at at Rochester Elementary school, with the teams being Provincial Champions in 2013, ’14 and ’15. ​One parent questioned why the district was proceeding with constructing a new administrative building when some schools have yet to be seismically upgraded and others have portables on site. “If their building is not a safe place, they’re going to be wondering why there is a new board office,” said Jennifer Martin-Blatherwick. 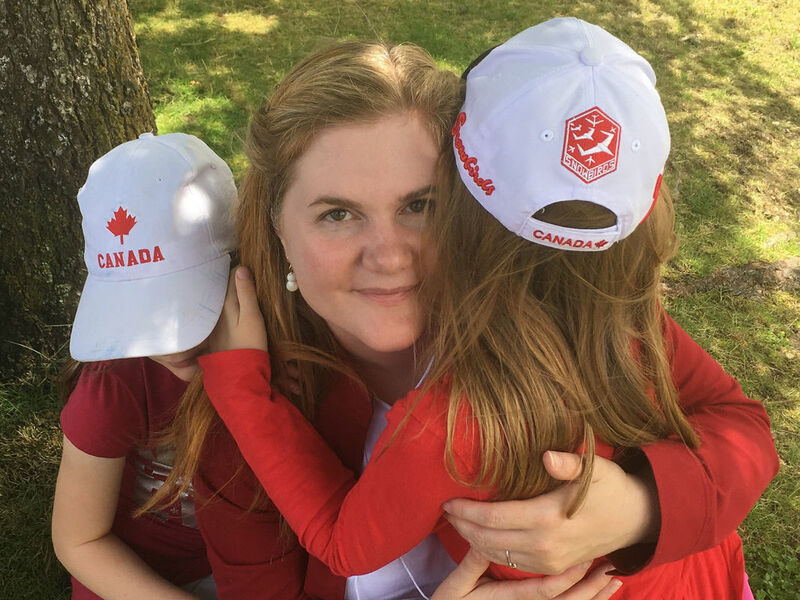 ...Association Director, Jennifer Blatherwick...was nominated for an award entitled "INSPIRATIONAL WONDER WOMAN"..
Jenn was cited for not only her enthusiasm and love for Odyssey and all her OMers, but also for her work with the NDP and in community justice...and being super mom. ...in 2011, classes were moved to Spani and Eagle Ridge outdoor pools - a good trek for south Coquitlam families, Martin said. "The sand pit doesn't work. We want our pool back," she told the committee.